In our first retrospective article on IL-2 we covered the release of the original IL-2 Sturmovik and took a walk down Oleg Maddox’s memory lane. 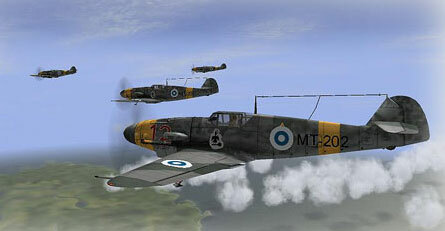 Following hot on the heels of the successful IL-2 Sturmovik, came the Forgotten Battles release in 2003. This stand-alone title in the series came slightly more than a year later and was most notable for the wide range of aircraft now modeled: 80 different flyable aircraft, counting all variants, and a total in-game library of 129 types, including for the first time multi-engine and jet or rocket propelled flyable aircraft. So many aircraft were modeled, with such fidelity, that several users published aircraft guides and libraries to provide easier ways to navigate the long list. U.S. types were included for use in the mission designer, such as the P-47 and P-51, satisfying the calls from fans of these types for the ability to fly their favorite machines in the IL-2 world. Forgotten Battles took the fight to the Western Theatre of Operations. 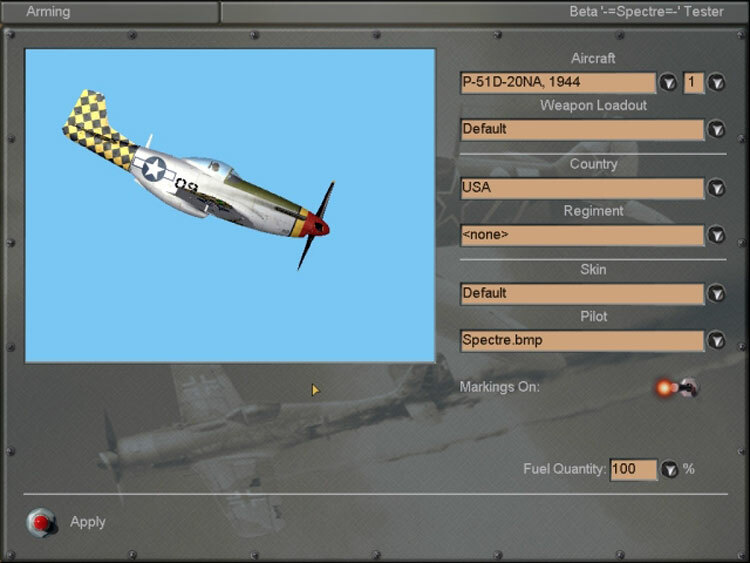 An enhanced quick mission designer gave players more options, including the ability to set up fights between non flyable US types like the P-51 or P47, and Luftwaffe opponents. But the big facelift for offline players came to the campaign engine, which introduced Starshoy’s random campaign mission generator. The new dynamic campaign mode enabled the pilot to pick an air force and timeline and follow a moving front battle with missions generated on the fly. A single pilot career, comprising a few campaigns, could last as long as 100-200 sorties depending on when it was started. For single player advocates, this was just what the doctor ordered after the disappointing static campaign of the original IL-2. 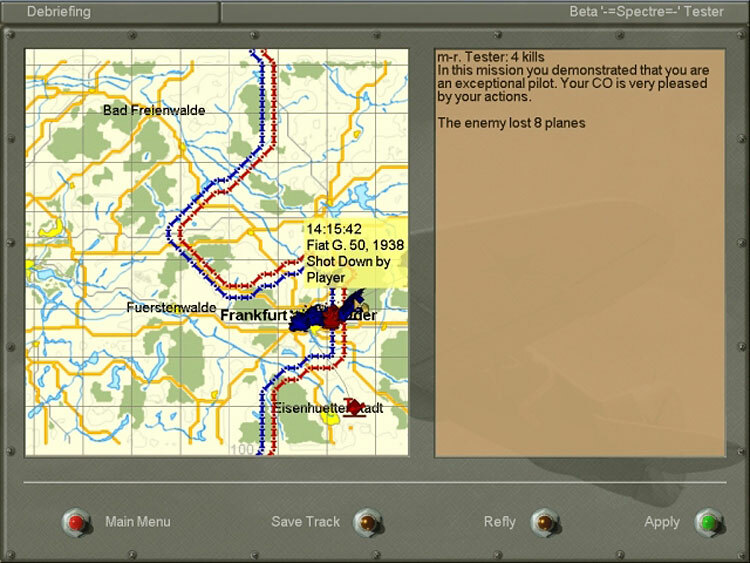 The dynamic campaign mode in Forgotten Battles included a moving front line. This was also the title where 1C Maddox introduced “complex” engine management, taking the sim closer to full realism. While prop pitch and radiators had been modeled in IL-2, mixture, superchargers at altitude, War Emergency Power, and controls for each engine were implemented in Forgotten Battles. Players particularly enjoyed the way this was implemented on historically cantankerous machines like the Me-262, where an impatient hand on the throttle during take off and spooling up, would result in a quick ride to the moon for the pilot. 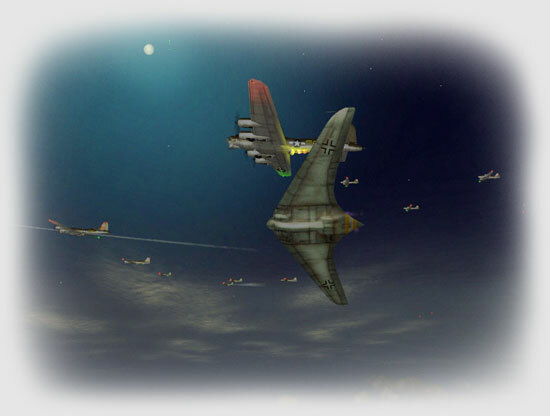 Through the work of third-party developers, players could fly heavy bombers like the B-17 for the first time, sitting in the pilot seat, or manning the gun and bombardier positions, in a simulation advance that rivaled stand alone sims of the time like B-17 “The Mighty 8th”. NaturalPoint TrackIR 2DoF compatibility was implemented. 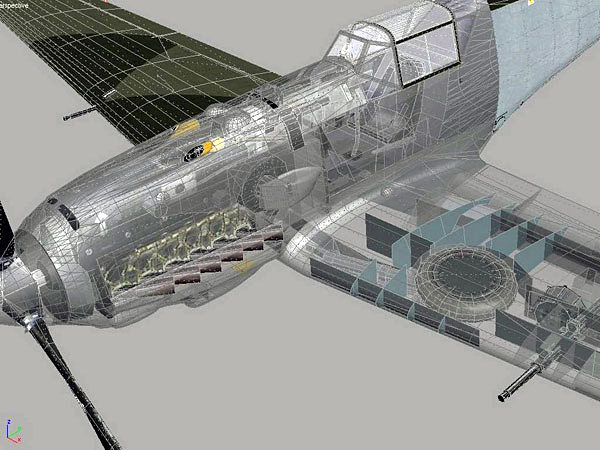 Complex engine management was introduced, enabling simulation of the cantankerous engines of the Me262. Controversies about the flight models started to emerge though – with fans of the Allied machines claiming the Russian developers had given the VVS aircraft superpowers. 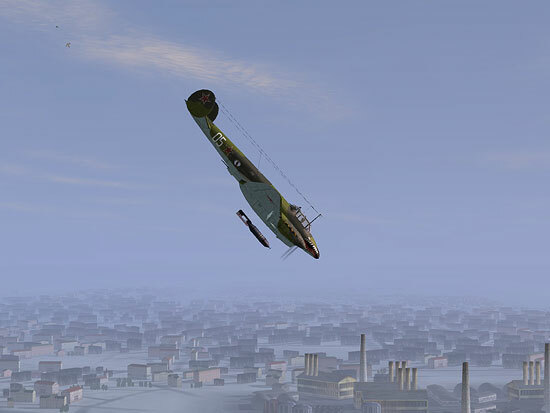 The little I-16 Polikarpov was noted to be virtually indestructible by the SimHQ reviewer! Foibles in the AI, which a couple of years earlier had been regarded as revolutionary, also started to annoy players. “A few AI idiosyncrasies tend to be frustrating… like AI wingman that sometimes totally disregard flight lead command, AI bandits that can ‘see you’ in clouds, and AI bandits that seem to ignore all your wingman and target just you. And then there are the ‘dumb’ aspects of FB’s AI; like the bandit trapped at your six breaking off the attack when you dive straight down and recover just above the trees. It is almost like he can’t see you anymore. Another odd behavior is when a AI bandit attempts a ‘bug out’, he will keep flying straight and level while you blast away! No noticeable defensive reaction,” said Vince Putze at the time. 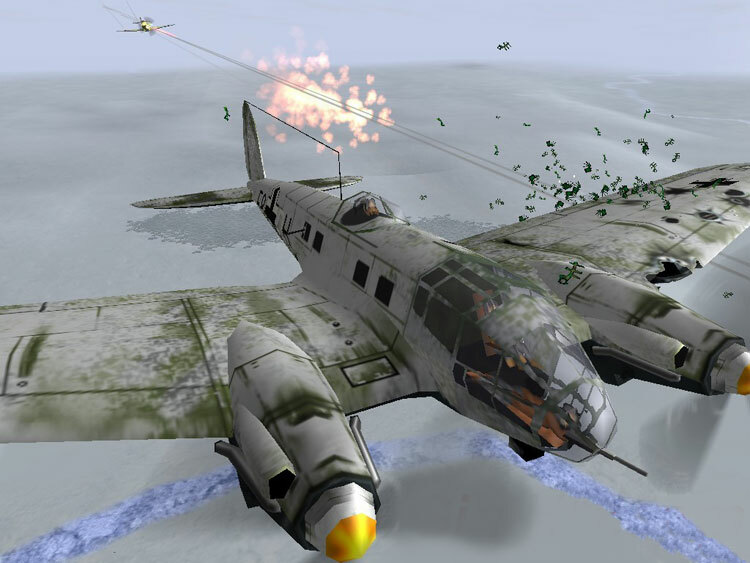 It was a controversy that would stay with the IL-2 series right up until recent AI tweaks by Team Daidalos, as Maddox resisted calls for improved AI, claiming frequently it was still the best in the business. 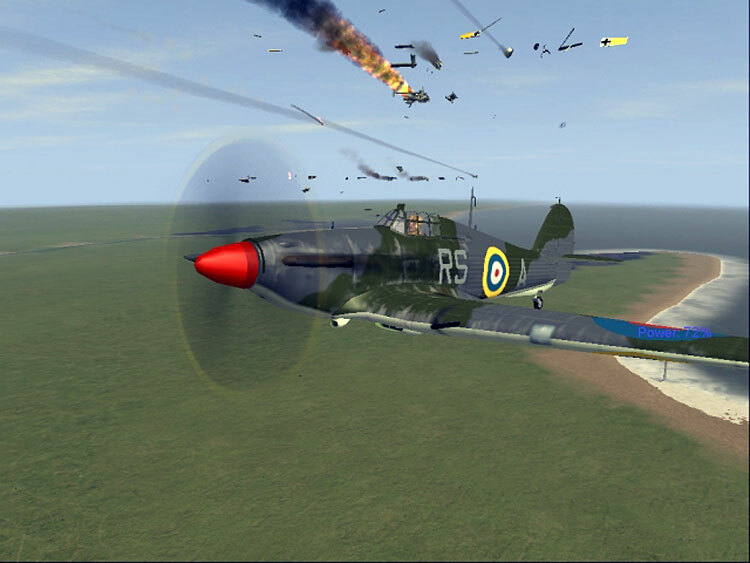 Finally, the calls from across the Atlantic were heard, and in April 2004 Just Flight released Battle over Europe for IL-2 Forgotten Battles, adding flyable P-51 and P-47s, P-38s with missions and campaigns taking the player from D-day to the fall of Berlin. Next, came the Aces Expansion Pack from the developers themselves, introducing Italian types like the G50, 3 P-51 variants, the jet powered YP-80, the P-38 and some bizarre “Secret Weapons of the Luftwaffe” types such as the Go-229 (batwing) bomber, twin fuselage Bf-109Z, and the FW190 glide bomber which carried a modified Ju88 as a guided bomb. Maps included Normandy, the Ardennes, and western Germany. Online play was generally regarded as smoother and the number of players was in the hundreds on any visit to Hyperfighter.sk. Online play got some welcome new maps. Here is the Forgotten Battles trailer from 2003. Fred: You introduced with Forgotten Battles, the ability for a player to use their own skin in a campaign and for the game to keep track of it. Did you ever discuss going further and make historically accurate skins for all staffeln and squadrons yourselves? Oleg: We never had enough resources to do something like that. That was another reason for opening things to the user. We knew that collectively our fans will be able to do a lot more and a lot better than our small team could have done. 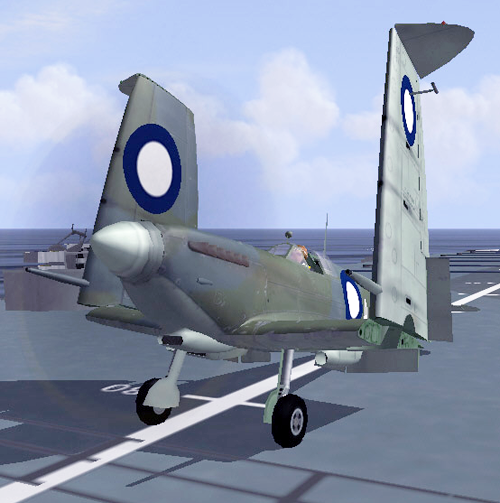 Forgotten Battles introduced the ability for offline players to skin their own aircraft. Oleg: All our projects have always been done on a shoestring budget and with no time to spare. I really wish we had the luxury to do more, to make more skins, more aircraft, more features. But we simply never had anywhere near the budgets to do everything we wanted, to hire enough people, to spend enough time. I sometimes look back on my own work and feel amazed at how much we did achieve. It’s only due to the talent and incredible dedication of my guys that this was possible. They really poured their hearts and souls into our games. Fred: Which was your personal favorite aircraft and what made it your favorite? 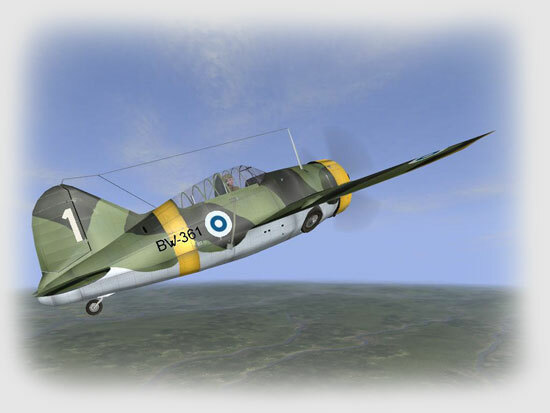 Oleg: I really liked flying the Bf-109K-4 online. I was unstoppable in it. If you met this machine in the online skies, maybe Oleg was behind the stick! 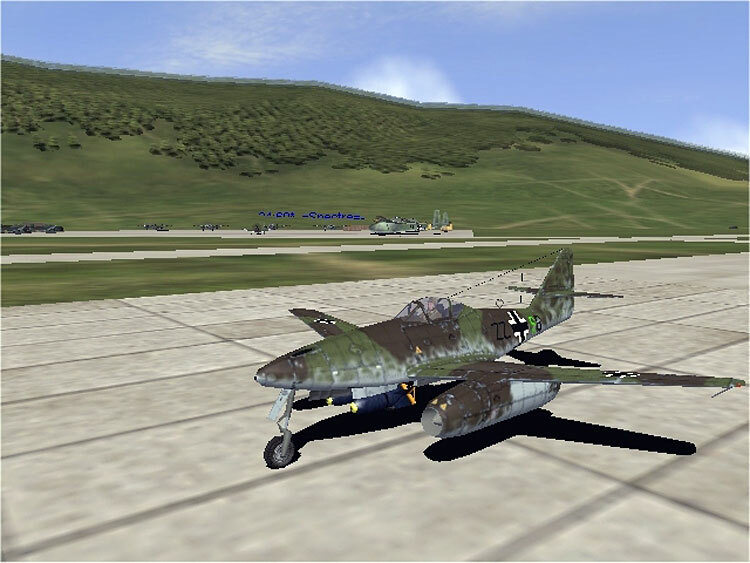 Fred: In a 1999 interview you only talked about the IL-2 being flyable but two years later the first release of IL-2 Sturmovik included Lavochkins, MiGs, Airocobras and Yaks, FWs and 109s… and the IL-2 series eventually became legendary for modelling in high fidelity nearly every production warbird of World War II – was this a deliberate marketing strategy or something that just developed? Oleg: Definitely not a marketing strategy. 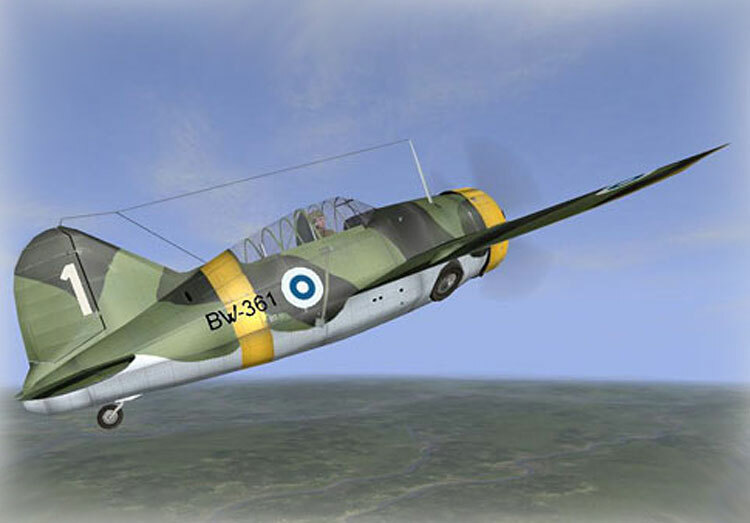 IL-2 was the love child of the team’s passions. We spent all our time working on that game, and not because we had to, but because we wanted to. If we worked for a paycheck, we could have gotten it by just making the one IL-2 flyable. We’d have still had our jobs, and the game would have been forgotten long ago. But because the guys, myself, everyone in the team, really, really wanted to do this, and because we loved aviation so much, we went and made more flyable planes just for ourselves. We really were just making a game for ourselves, and we really enjoyed it, and that enjoyment made us do even more for it. Fred: Obviously the aircraft featured in the IL-2 series, and their various flight models / damage models / cockpits / instruments kept people engaged for years. In the early days, there was huge debate about your decision to focus so much work on little known aircraft from the Eastern Front. What do you think of that debate now? Oleg: We are very proud of the work we did. I believe that it was due to IL-2 that so many people are now aware of the Eastern Front, that so many other developers are doing it, and that people in the West no longer think of the Russians as the mindless horde that defeated the Germans with nothing but endless human waves. Forgotten Battles featured a plethora of “exotic” machines. Fred: There was much discussion of your development decision to feature so many ‘minor’ aircraft in such detail, which obviously required a lot of time and research and effort by your team. In hindsight, would you rather have focused more effort on fewer aircraft, and perhaps been able to execute more releases and expansion packs, or accelerate the time between ‘chapters’ in the IL-2 series? Oleg: I really try not to spend time rethinking past decisions. There’s never one right way to do something; there’s only the right way to do something at the right time. If I was doing a flight sim today, and you know now I’m involved with one at the moment, I would do a lot of things different than I did in IL-2. But not because I did something wrong with IL-2, but because the world is very different today than it was back then. There were for example claims that the IL-16 had a climb rate better than early BF109s and FWs… but I didn’t correct it because it was like that in reality. Fred: There was some criticism of the combat AI in this and later titles. Looking back, do you think that criticism was fair? 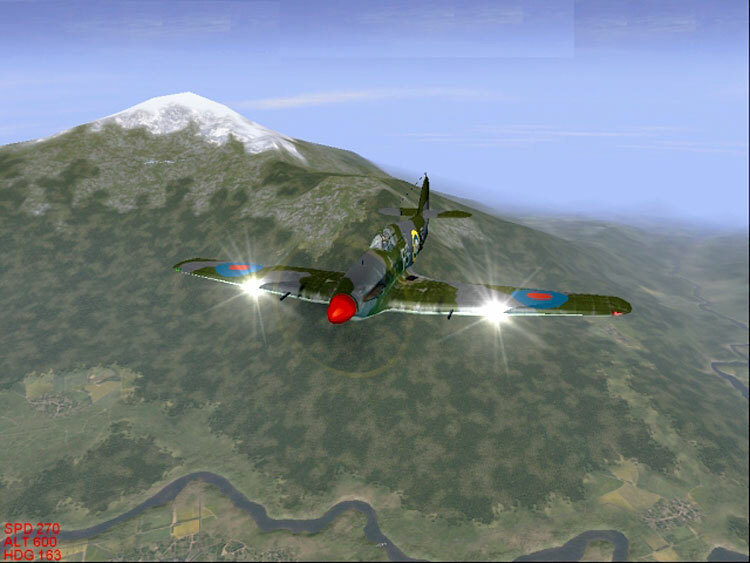 Fred: In 2007 you estimated that a non flyable AI aircraft in IL-2 Sturmovik took 1.5 months to develop, and for Cliffs of Dover (Storm of War), this had changed to six months! Ilya quoted last year one-year of development time for a flyable aircraft. Why did development times change so much as time progressed? Software and PC capabilities improved, but I would have assumed your own processes became more efficient, and you would have had access to a greater number of people to execute the projects. Oleg: That’s how much complexity has grown. It perhaps got a little too complicated for ourselves, and was probably more complex than people could even tell. Fred: When you were developing the IL-2 series, you still had access to pilots who had flown these warbirds in WWII or later, for technical assistance, advice and testing. But most of these pilots are unfortunately no longer with us. Modern flight sim developers will have to live without them (just as WWI sim developers have to do today) – does this mean the flight models of sim aircraft in the future will be “less real” than those you developed for IL-2? Oleg: As you know, we are starting a project with my good friends at Eagle Dynamics. 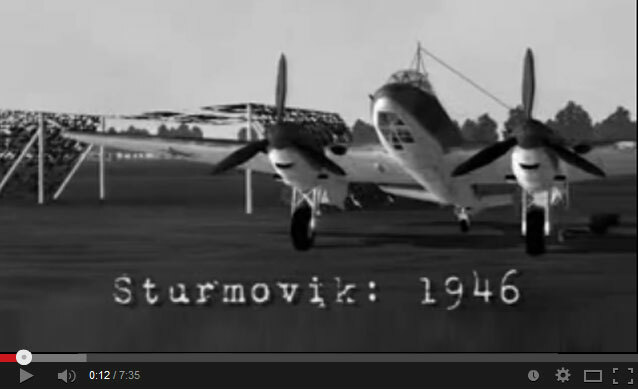 We’re been running a kickstarter for a WWII sim on a DCS engine. The good thing about that is that they are partners with the Fighter Collection, who own a huge collection of flyable WWII planes. That means that we actually do still have access to these machines and to the men that fly them. In Part 3, we discuss Pacific Fighters.